We got a new dining set this year for Thanksgiving. The kids and I were so excited when Bryan brought it home last week. We have always had hand me down, used and mismatched tables and chairs so being able to have a new one this year is such a blessing. My favorite thing about it is that is actually seats all 8 of us in matching seats. 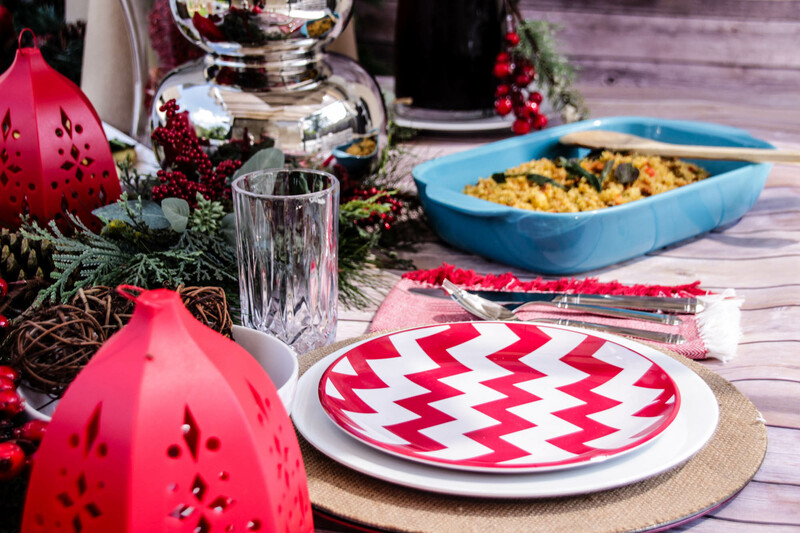 Now we can have a lovely table set for the holidays like this beautiful chevron tablescape. 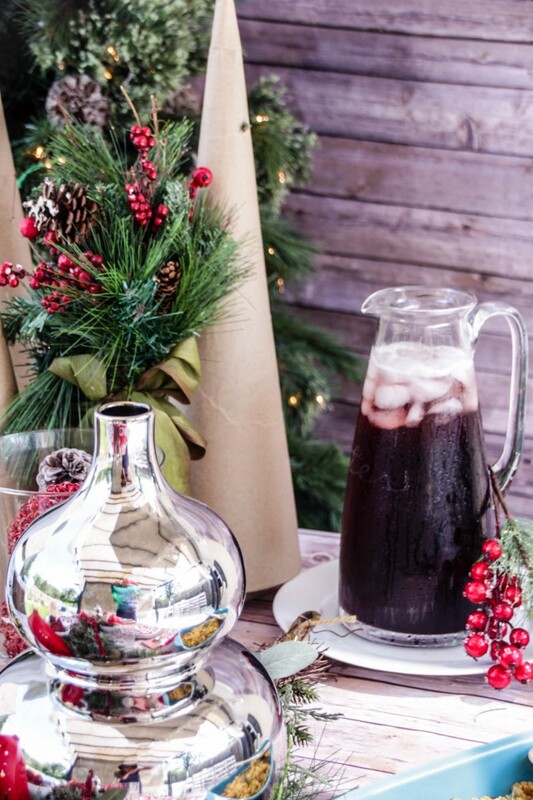 I just love the beautifully festive colors. If you’d like to create this tablescape for your own table read more below. Are you a big fan of Chevron? It seems to be one of the must-have styles in clothing, decor and more. 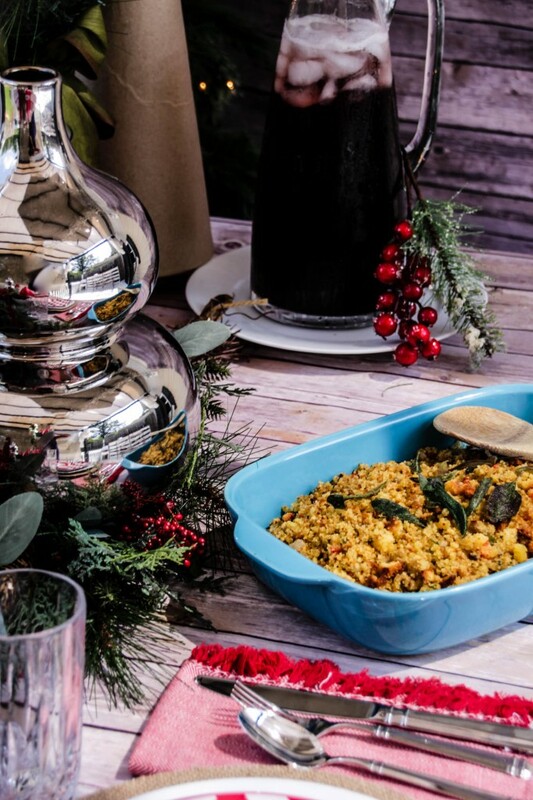 I have the perfect tablescape you can create for the holidays. We’re going to take a little bit of modern and mix it with a little bit of the natural look. 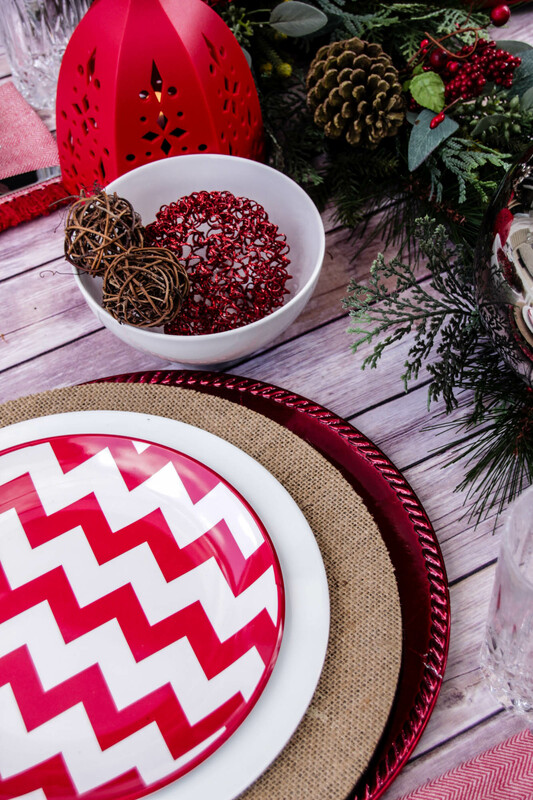 I give you a Red & White Chevron Natural Christmas Tablescape. Roll out a vinyl natural looking paper. 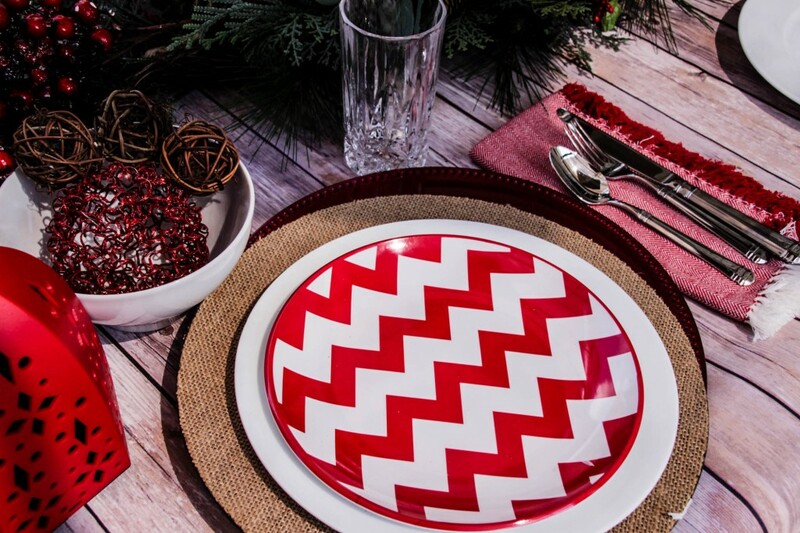 Set each place setting with a Red Charger, Linen Charger, White Plate followed by the Red & White Chevron Salad Plate. For the center of the table, I used a Natural Christmas Garland to lay in the center of the table. Then place two silver decorative vases at each end of the garland. 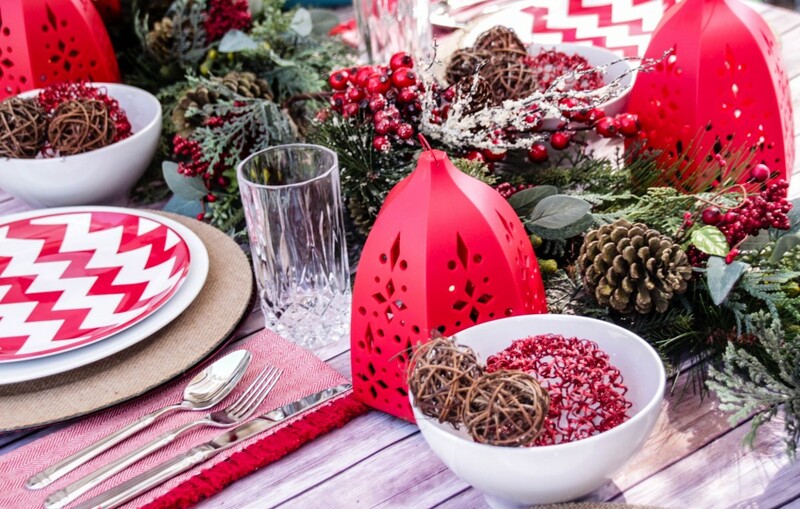 Place small red lanterns by each table place setting. 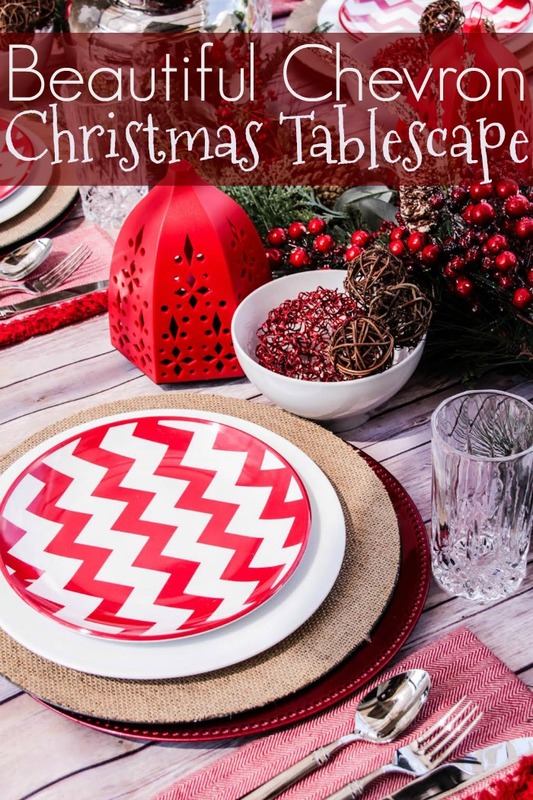 At the end of the table, you can add some Christmas decor to help complete this festive look. I added cardboard cones (picked up from Hobby Lobby), as well as a Christmas wreath and small jars filled with red Christmas decorative balls. What do you think? I love all the red! Enjoy! I love all the elements of red in this tablescape. So festive! The little red lanterns are my favorite. I like your table very much – has lots of texture, color, and a cozy feeling.